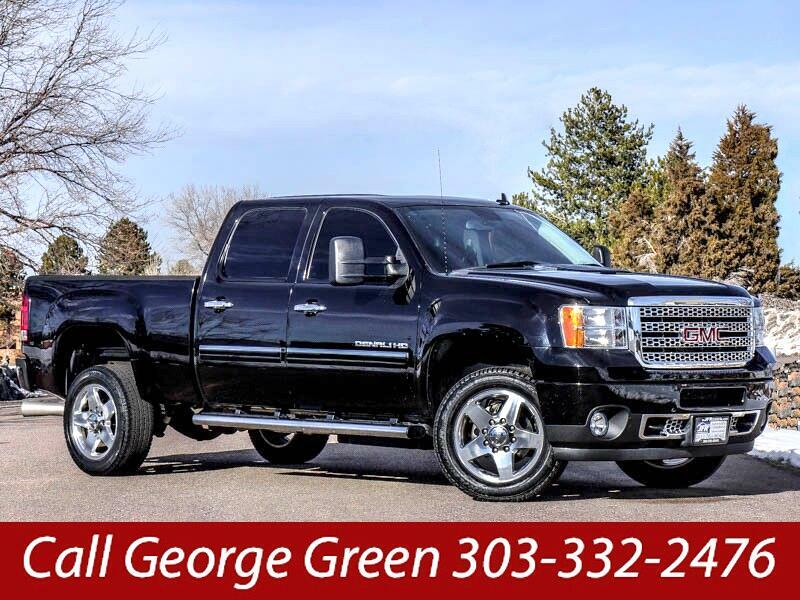 Used 2013 GMC Sierra 2500HD Denali Crew Cab 4WD for Sale in Littleton CO 80120 JFR & Associates, Inc. This turbo diesel V8 engine power plant has you covered when it comes to heavy-duty towing and hauling. The cabin is roomy and offers an excellent comfort level. No detail has been overlooked with this beautiful Sierra 2500 HD Denali. It comes with a wide array of options: cooled front seats, Bluetooth integration, CD changer, bed liner, a backup camera, navigation, remote ignition, tow package, backup sonar, MP3 CD player, running boards, sunroof, tinted windows, plus lots more to make your driving experience so enjoyable. This low mileage, one owner Sierra is ready for a new home. Contact us today and schedule an appointment to take this great truck for a spin.